The average client-agency relationship has shrunk from 7.2 to 2.8 years, indicating significant challenges for companies to secure their "right-fit" PR agency partner. Companies asking agencies the right questions during the pitch process are better able to vet and identify the agency that meets their needs. Both the objectivity and subjectivity that once guided the tech PR agency decision-making process is no longer sufficient, as evident by the decline in the agency-client relationship tenure. Yes, an agency's reputation, client experience and leadership team credentials remain important, but making a decision based on such criteria alone will inevitably lead to a short-lasting relationship. 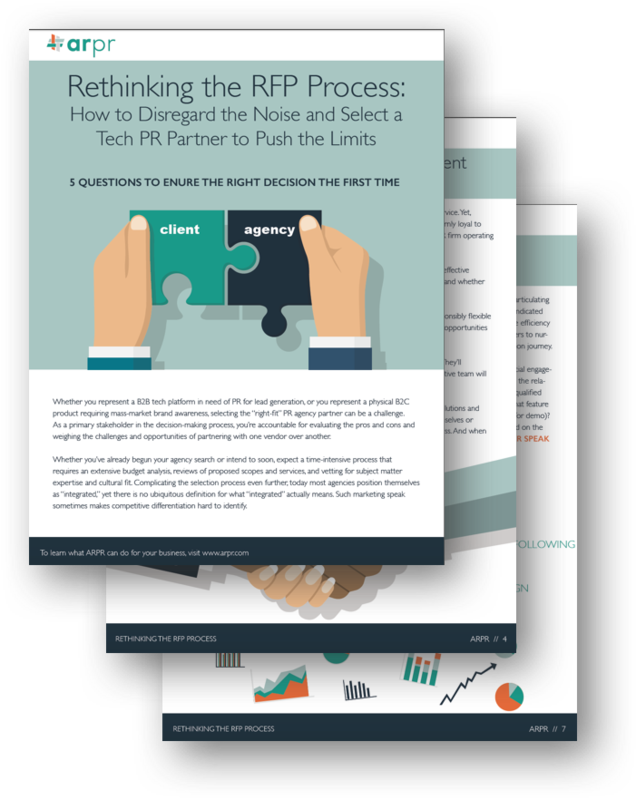 "Prospective agency seekers must put the burden on each RFP recipient to explain their tech savviness and commitment to client service and employees; how account teams are formed and what makes their reporting capable of standing up to intense scrutiny. Any agency that cannot, or will not, answer such questions is one that you should think twice about partnering with."